The trailer is out for the BBC's adaptation of J.K. Rowling/Robert Galbraith's The Cuckoo's Calling. 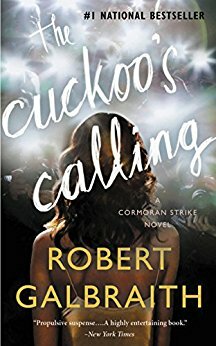 I did not realize the main character's name is "Cormoran Strike". That does not sound like a real character; that sounds like a military excercise. Or maybe a Tom Cruise movie. Either way, I suddenly cannot take this novel even remotely seriously.